The Prince of Asturias Awards for Sports and for Concord will be announced this coming September. 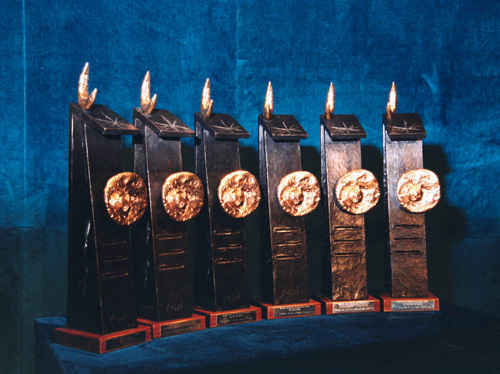 The Juries responsible for conferring the 2011 Prince of Asturias Award met in Oviedo during the months of May and June, except for the Sports and Concord Juries, which are to meet in September. The 2011 Prince of Asturias Award for Social Sciences was bestowed on the US psychologist Howard Gardner. As stated in the Minutes of the Jury “Author of the theory of ‘multiple intelligences’ and a promoter of educational projects as important as Project Zero and GoodWork, of major interest for the pedagogical renovation of the education system at an international scale. His outstanding work has been recognised through honoris causa doctorates from universities all over the world and he has received some of the most renowned awards in the disciplines of Psychology and Education”. The 2011 Prince of Asturias Award for Communication and Humanities was bestowed on the British organisation The Royal Society, which is “the oldest scientific community in the world, having been in continuous existence for 350 years. Its main priorities include the fostering of scientific research and the dissemination of knowledge for the benefit of humanity. (…) Isaac Newton, Gottfried Leibniz, Charles Darwin, Benjamin Franklin and Albert Einstein figure among its past Fellows”. The 2011 Prince of Asturias Award for Technical and Scientific Research was conferred on the neurochemists Joseph Altman, Arturo Alvarez-Buylla and Giacomo Rizzolatti “for discovering the regeneration of neurons in adult brains –a process known as neurogenesis– and mirror neurons (…). The discoveries of these three researchers are among the most important in Neurobiology since the times of Professor Santiago Ramón y Cajal, changing our way of understanding the brain. This body of research opens up new pathways for treating neurodegenerative disorders such as Alzheimer’s disease and Parkinson’s disease, as well as for the understanding and possible treatment of autism”. The 2011 Prince of Asturias Award for Literature was conferred on the Canadian poet and novelist Leonard Cohen “for a body of literary work that has influenced three generations of people worldwide through his creation of emotional imagery in which poetry and music are fused in an oeuvre of immutable merit. The passing of time, sentimental relationships, the mystical traditions of the East and the West and life sung as an unending ballad make up a body of work associated with certain moments of decisive change at the end of the 20th and beginning of the 21st century”. Finally, the 2011 Prince of Asturias Award for International Cooperation was bestowed on Bill Drayton, founder and Chair of Ashoka, for “his fundamental role in the development of the social entrepreneur as a driver of social and economic transformation of countries. Ashoka has provided funding and professional support services to over 3,000 leading social entrepreneurs in over 70 nations”. Each of the Prince of Asturias Awards –conferred for the first time in 1981– is endowed with 50,000 euros, in addition to a Joan Miró sculpture expressly created and donated for the awards, and is accredited by way of a diploma and insignia. The Award Presentation Ceremony –presided over by H.R.H. the Prince of Asturias– will be held in Oviedo in the autumn.